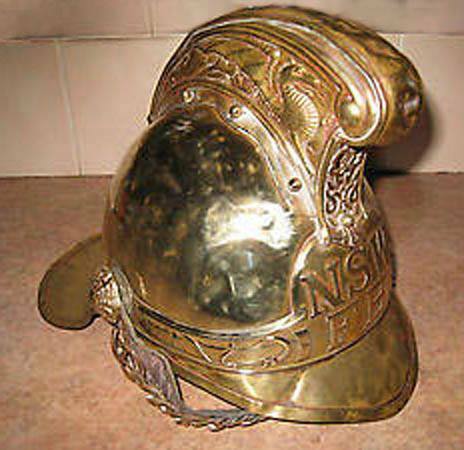 As a member of the Fire Brigade Leo displayed valour, courage and an unflagging sense of duty. In 1874 an event still fresh in the minds of many Windsorites at the turn of the century, established the high credentials and enduring necessity of the local fire brigade. On a day of fierce heat and savage winds, a spark flew from a blacksmith’s shop onto some timber buildings which caught alight. From this seemingly small incident Windsor lost a whole block of buildings bounded by Fitzgerald Street, Suffolk Street, Macquarie Street and George Street. The local two Fire Engines, ably assisted by many willing hands, were kept supplied with water delivered from water carts. But it was almost impossible to save a place once it became alight. Four engines came by special train from Sydney and they ably assisted the local brigade to contain the blaze which had endured all day. Leo joined up in 1902 when he was 18, became Captain in 1922 and held that position till he retired in 1965. That’s 63 years of service to the Community in a dangerous profession.......a very different way of life to the more sublime act of farming. His son Allan joined in 1919 and took over as Captain when Leo retired. 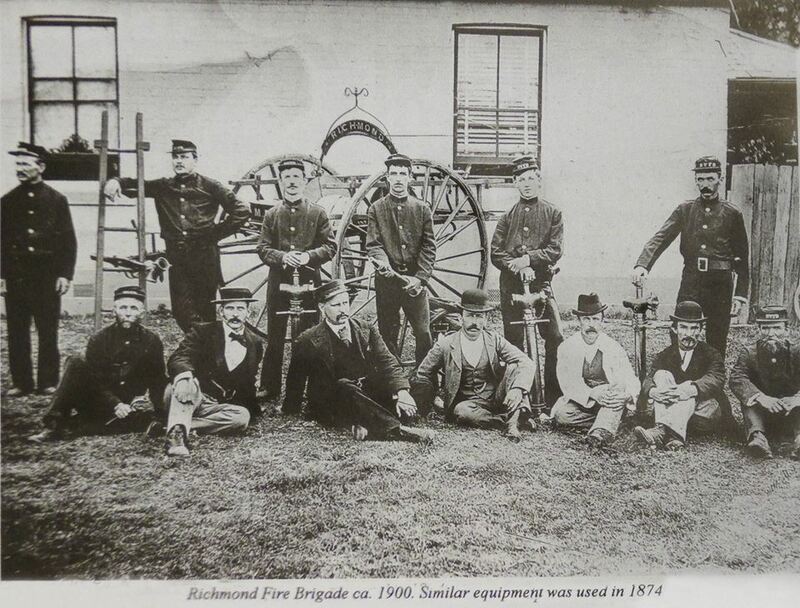 In the early years of the fire brigade, Leo used his own horses and water pump from his farm. He witnessed over the years advances in fire fighting equipment such as the motorisation of the Brigade in 1925 when they took possession of their new Garfordhale motors with pump and up-to-date appliances. The Windsor engine was given a trial and threw a powerful stream of water over the top of the flagpole on the lookout at the fire station – over 60'. Inspector Lister complimented Leo Armstrong for his good work for Windsor Fire Brigade. In 1915, Leo was working on his farm when he noticed smoke coming from Mr Moses Store. He rushed to the scene and the Fire Brigade soon arrived and luckily confined the fire to some roof damage. Fire-fighting was a dangerous business. In 1936 the Windsor Brigade was called to a fire at the home of Miss Nora Mahoney, Pitt Town. On the way to Pitt Town, the fire engine collided with a straying calf, crashed through a protection fence and over turned in a waterhole at the side of the road. Several firemen were hurt and two were admitted to hospital. One fireman was pinned under the vehicle and almost drowned in the waterhole, one a severe ankle fracture, another a cut to the face, another a back injury and Captain Armstrong received a shoulder injury. Miss Mahoney lost her house. 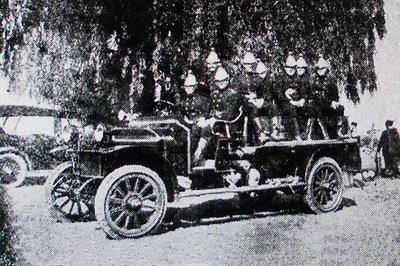 The brigade attended many town fires such as the blaze which broke out at night in October, 1923, in Mrs Emily Dyer’s boot shop and residence. As it was feared the fire would spread to adjoining buildings, Leo ordered all belongings be removed from them. Mrs Dyer lost everything but her prized Persian cats which were rescued. Two mysterious blazes occurred in back yard wood piles, one belonging to Mr Mina, in 1938....all extinguished by the Brigade. And there were many more. They attended many grass fires such as the one which began in three places along the length of the wooden Railway Viaduct at Clarendon. The Brigade saved the Viaduct by pumping water from the ponds below the structure. Terrifying bush fires put the Brigade to the test. 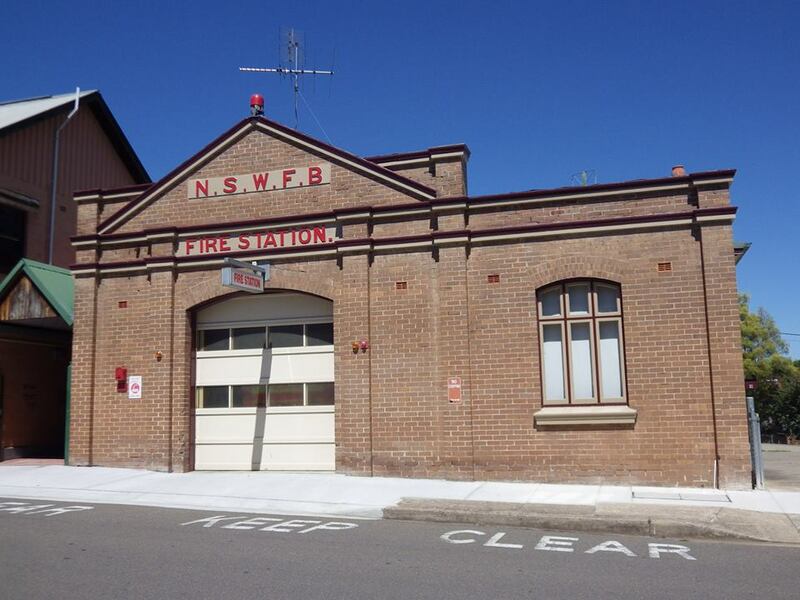 In 1939, the Windsor Fire Brigade received a call to the first of a few fires at Vineyard. It was a tragic Saturday as two lives were lost but the Brigade, under Leo Armstrong, did valuable and magnificent work in saving 5 cottages. There were numerous calls to huge fires in and around the Kurrajong area some extending all the way to Windsor itself. In 1955 the Brigade was called out to Dr Fiaschi’s picturesque old sandstone property at Tizzana which was well alight with spectacular clouds of smoke billowing hundreds of feet into the air. Vats of wine burst and the contents ran down the water tables inches deep. The two storied building contained 8 furnished rooms in the upstairs portion and all were destroyed. The sandstone walls were left leaning dangerously over the roadway. Mrs Fiaschi, the now elderly second wife of the good doctor, arrived by car and rushed into the fiercely blazing building to rescue books which she planned to present to a library. The Armstrong family still have Leo’s brass helmet. It has a large dent in it where some object must have fallen and damaged it. 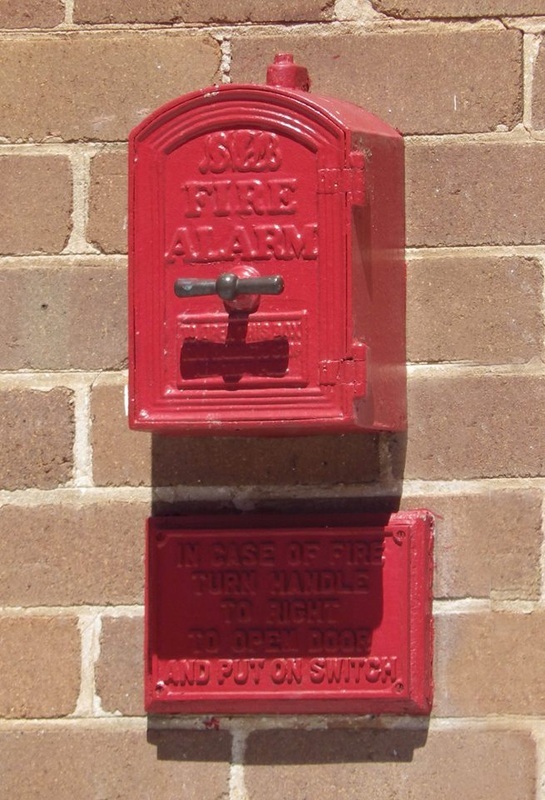 In recognition of the dangerous work of fire fighting an advertisement is placed in the paper by Mr R.A. Pye, Chemist of Windsor, in 1902 ..."The Fireman is in great danger from falling bricks or timber as well as from the flames. No fire department is properly equipped without a supply of Chamberlain’s Pain Balm. This liniment is unexcelled for burns and bruises. One application gives relief...” Did Leo have a good stock of this in his medicine cabinet? The tradition set by Armstrong was still in evidence as the current brigade strove to save the Jolly Frog. We salute you Captain!